Green Umbrella, the City of Cincinnati, and Xavier University have partnered to host the fourth Midwest Regional Sustainability Summit on June 15 at the Schiff Conference Center on Xaviers’s campus. The summit brings together members from all sides of the environmental and sustainability community in Greater Cincinnati and all over the Midwest. The day will feature speakers, a discussion panel, and breakout sessions. 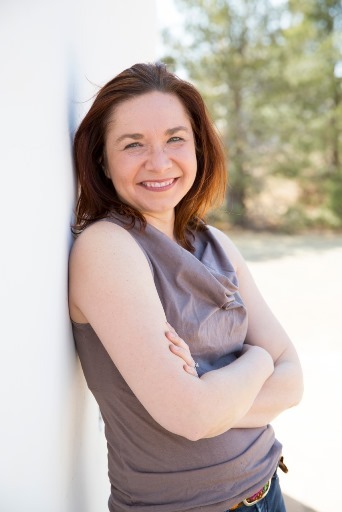 Katharine Hayhoe, Midwest Regional Sustainability Summit keynote speakerKeynote speaker, Katharine Hayhoe, director of climate science center at Texas Tech University is well respected in her field. She will discuss environmental issues, sustainability, and resilience; consider how other regions are adapting to climate change, and address some misconceptions on climate change and global warming. Resilience officers from the Rockefeller Foundation’s 100 Resilient Cities Program will also speak. Breakout sessions give the opportunity to discuss issues and “Some breakout sessions are seen as opportunities for discussion and planning,” explains Ryan Mooney-Bullock, communications and program manager of Green Umbrella. Breakout sessions topics include extreme weather preparedness—a relevant topic as Cincinnati and the Midwest continues to experience extreme weather events such as major flooding and storms, and intense summer temperatures; the Green Cincinnati Plan which was recently officially adopted by the City; and growing sustainable jobs and infrastructures in a green world, which will include current jobs and potential jobs; and one focused on creating a sustainable business. The need to adapt and become more resilient to a changing climate in Cincinnati grows more urgent and gains attention. While most attendees will be Cincinnatians, environmental and sustainability experts from all over the Midwest will be in attendance. It’s “Relevant to a greater region” says Mooney-Bullock. “The only complaint we’ve had is about the number of breakout sessions,” attendees want to visit them all. The summit will bring together diverse backgrounds including environmental and sustainability professionals, students, sustainable directors from large businesses as well as small business owners, and individuals active in the environmental community. Last year, the summit sold out with around 450 attendees. This year, they are expecting 350-400 attendees; tickets will be available online until June 12 and on the day of the summit, if still available. For more information and the full program, visit the website.